Tony Award winning Best Musical', The Book of Mormon has captivated millions around the world since it first debuted on Broadway in 2011. The show has won critical as well as commercial fame, bagging Grammy, Drama Desk as well as Tony Awards. The Book of Mormon is all set for another US Tour this season. The celebrated musical will be making its way to several cities and theater halls including Segerstrom Hall in Coats Mesa, Pantages Theatre in Los Angeles, Bank of America Theatre in Chicago, Kennedy Center Opera House in Washington and New York's Eugene O'Neil Theatre. After several years in development, The Book of Mormon made its Broadway debut at the Eugene O'Neil Theater in March 2011. The original production featured actors Andrew Rannells and Josh Gad in the lead roles. The musical was directed by Trey Parker and Casey Nicholaw. Vocal arrangements and music direction was done by Stephen Oremus whereas Brian MacDevitt handled the lightings. Ann Roth and Scott Pask were responsible for costumes and set deign respectively. The show was well received by the critics as well as audiences. It remained one of the Broadway's top five best selling shows of the year. In August of 2012, the musical began its first North American tour and was staged at the Denver Center for the Performing Arts. With Jared Gertner and Gavin Creel in the leads, the show met with positive reviews, alluring thousands of theatre lovers to the venue. In September, the show moved to the Los Angeles at the Pantages Theatre and continued to fill theater halls throughout the week. After an overwhelming response in North America, the musical opened on West End in February 2013. The UK production was staged at the Prince of Wales Theatre, and featured Jared and Gavin once again in the lead roles. The original Broadway production was a hit with the audiences as well as critics, earning several prestigious awards. In 2011, the musical was nominated for fourteen Tony Awards, out of which it bagged nine including Best Direction of a Musical' for Trey and Nicholaw, Best Performance by a Featured Actress' for Nikki M. James, Best Original Score' and Best Book' for Matt Stone, Robert Lopez and Trey Parker. The show also won the Best Musical Award' apart from Best Sound Design', Best Lighting', Best Scenic' and Best Orchestrations'. The show was nominated for twelve Drama Desk Awards. Apart from winning the Outstanding Musical', The Book of Mormon won the Outstanding Orchestration' award for Stephen Oremus and Larry Hochman along with the Outstanding Director of Musical Award' for Trey and Nicholaw. Matt Stone, Robert Lopez and Trey Parker also bagged the Drama Desk Awards for Outstanding Music' and Outstanding Lyrics'. Hailed as Heavenly Musical' by The Daily News, The Book of Mormon has been praised for its gripping direction, captivating performances, colorful costumes, beautiful set designs and magical music. With added multimedia effects and improved sound design, the upcoming installment of the show will surely be a delight to watch. 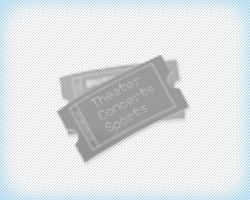 always remain popular as the theatergoers always want to attend a show where they can enjoy a good laugh. The show stayed nearly seven years in development. The original production cost was over $9 million. Hundreds of actors auditioned for the Broadway production out of which 28 were selected. Musical's Broadway cast recording reached number three on the Billboard chart, becoming the highest charting album by a Broadway cast in more than forty years. The musical also won a Grammy Award for Best Musical Theater Album' in 2012.